Vampires, musical numbers, and flying broomsticks-where do we sign up? (SPOT.ph) School’s back in session! First-day nerves, terror teachers, a pile of homework over the weekend-ick! We don’t miss any of that. Attendance would definitely improve if the campus floated in the sky (no traffic!) 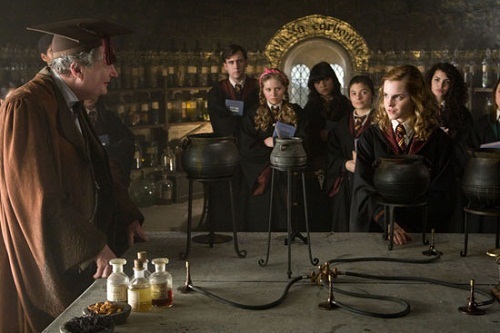 or if students were taught how to brew a love potion. School’s cool and all, but if we had a choice, these would definitely be the institutions we’d be excited to study in. Studying in an ancient castle with hidden rooms and secret tunnels, ghosts, a three-headed dog, and a lake with a giant squid...It’s been years since we turned 11, but we’re still waiting for our acceptance letters? Hogwarts seems like a fun-if not dangerous-place to study in. Playing Quidditch and flying on broomsticks for PE definitely beats dodgeball. Also, let’s not forget the nearby forest filled with giant spiders. Hogwarts also has cool classes like Care of Magical Creatures, Potions, and Charms. 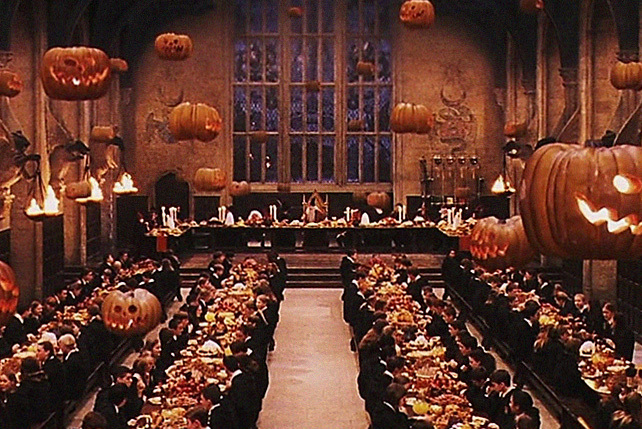 Best of all, the students get amazing feasts daily thanks to those helpful house-elves in the kitchens. If you need to take a train to get to Hogwarts, you need a flying school bus to get to Sky High, which boasts of a campus sitting on the clouds thanks to an anti-gravity device. In a world where you’ve got kids with powers like super speed or the ability to manipulate plants, there has to be a school that trains them to be the bastions of justice and peace. Also, how to quick-change into Spandex and cool capes. 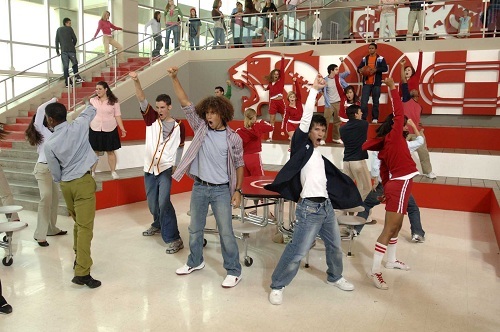 Everybody in this school is attractive and talented. They also like to burst into song and dance ever so often. And the jocks are actually okay with singing and acting on stage! It just seems like a really happy place to study in, even when the resident diva is always trying to steal the spotlight. How apt is it that the center of Hellmouth can be found beneath a high school. Vampires and other supernatural baddies are drawn to the mystical portal found in the town of Sunnydale, California. It’s probably not the safest place to be in nor is their high school, with its resident of evil witches, ghosts, and giant man-eating insects. But as long as Buffy Summers is around, we all know we’re safe. At least it’s never boring. With courses like "Conspiracy Theories in U.S. History," "History of Ice Cream," and "Sailing," Greendale seems like a the perfect college that would give us the most bizarre set of skills for the real world. There are always on-campus shenanigans, mainly thanks to the eccentric Dean Pelton and that study group. Paintball fights, pillow and blanket forts, and the world’s most intense game of "The Floor is Lava"...sign us up to be Human Beings! 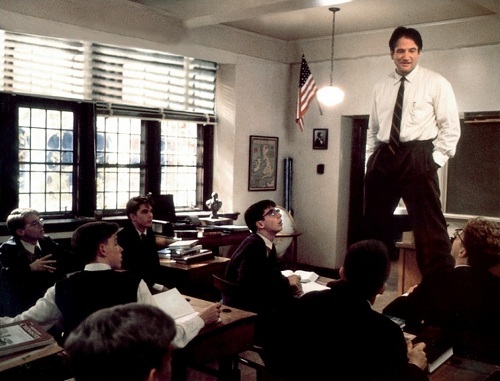 If someone like John Keating was teaching us how to carpe our diem, those seemingly endless lessons we had about dead writers and philosophers would certainly have been more exciting. 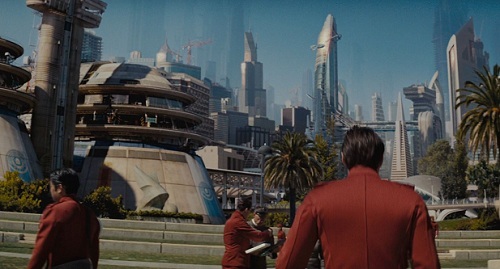 We have to wait until the year 2161 for the Starfleet Academy to be established. We wish our great-great-great-great-grandchildren the best of luck, because who wouldn’t want someone in the family to man a starship and explore far-off galaxies? Set in beautiful New Orleans, Miss Robichaux’s Academy is a school for young witches to train and hone their powers. But with great powers, comes a great number of some seriously messed up magical situations-rival voodoo witches, witch-hunters, and a Supreme that doesn’t want to see an end to her rule. Thankfully, that’s all been dealt with and Miss Robichaux’s Academy is a safe place for witches once more. Sometimes, Stevie Nicks drops by! 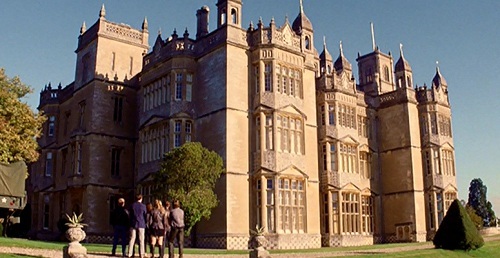 Next to Hogwarts, Xavier’s is probably the coolest boarding school around. It’s a haven for mastering one’s mutant abilities, all under skilled (and badass) teachers like Professor X, Wolverine, Storm, and Jean Grey. It’s been destroyed a few times, but it’s nothing reality-manipulating mutation (and other retcon tactics) can’t handle. Plus, you can’t beat learning to drive an invisible jet. Face it, it’s so much better than the rival White Queen’s Massachusetts Academy. Ruled under the watchful eye of Gossip Girl, you’re guaranteed every day is full of intrigue in these Upper East Side private schools. The administration also seems to be fine with students customizing their uniforms into runway-worthy looks. How they have the time to look gorgeous, gossip, and still achieve grades that get them into Ivy League schools, we just don’t know.